Yesterday, 29 January, Kouga Council agreed at its Council meeting in Jeffreys Bay to make application to the Eastern Cape Disaster Management Centre for St Francis to be declared a disaster area. 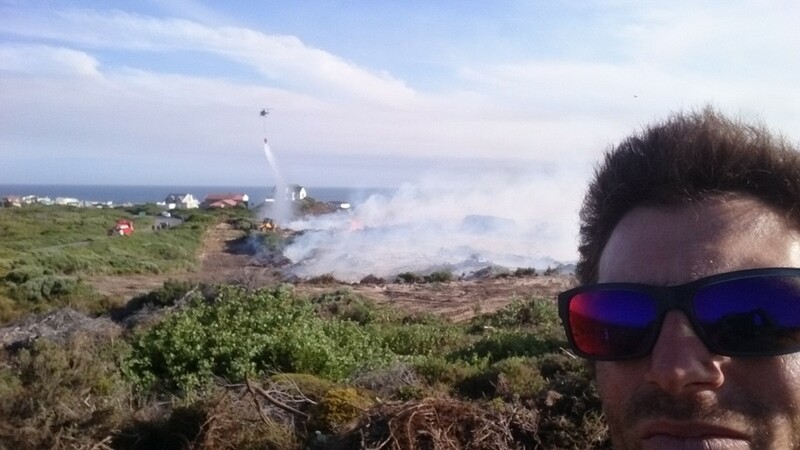 This after St Francis areas of Cape St Francis and St Francis Bay, including the township area of Sea Vista and the airpark, experienced sporadic fires that have continually flared up in beastly winds for a week now. Yesterday more firefighters arrived to help the exhausted teams on the ground to fight the persistent , relentless fires. Two huge helicopters also came from Pretoria and Bloemfontein to help put the fires out with their 2.5 tonne water buckets. Kouga Municipality told St Francis Chronicle this morning the application will need the consent of the Premier of the Province and has to go through a special process along with the motivation for declaring St Francis a ‘Disaster Area’. If the application is approved it could mean that St Francis would receive provincial funding to fight the fires with more resources such as additional firefighters and helicopters.